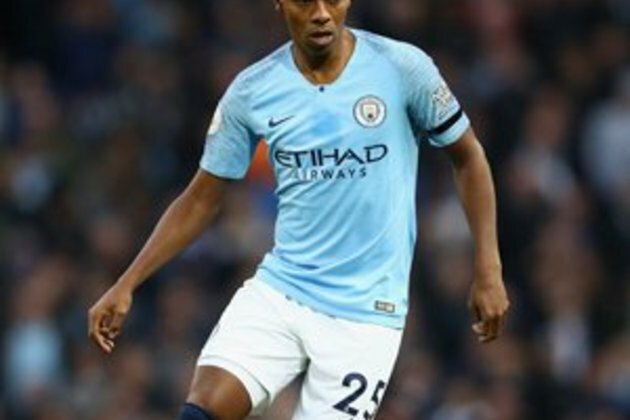 Manchester - Pep Guardiola believes his brilliant Brazilian midfielder Fernandinho can extend his Manchester City career by moving back to central defence on a permanent basis as he ages. His versatility has also seen him look increasingly effective on occasion at centre-half, a role he performed so effectively in last weekend's comfortable 3-1 win over Arsenal. Now Guardiola, who extended Javier Mascherano's career at Barcelona with a similar positional switch, reckons Fernandinho could benefit from the same move in England. "I think he can play in that position, I am pretty sure," said City manager Guardiola ahead of Sunday's match at home to Chelsea, where a win for his side would likely see them leapfrog Liverpool into first place on goal difference, albeit having played one game more, after their title rivals 3-0 victory over Bournemouth on Saturday. "He is fast, he is strong in the air, good going backwards and when he sees the football in front of him, his vision for the pass inside, switch of play is excellent," the former Barcelona and Bayern Munich boss explained. "So he is intelligent to go forward or go backwards, so he understands everything. Of course he has to train more at it. I think he can do it, but his position is as a midfield player." Guardiola appeared to have gambled last week when he left England centre-half John Stones on the bench and played Fernandinho in the heart of City's defence instead. "I know what is going to happen, we are going to lose when Fernandinho plays in that position," he said. "I am a genius, huh? "But I discover a surprise for the opponents doing that and I know what is going to happen," the Spaniard added. "'Why do you take a risk and leave Pound 45 million on the bench when he can play in that position?' And I know that." Fernandinho's contract runs out next year, by which time he will be 35, which has focused Guardiola's attention on finding his successor, although the City boss admits that is not an easy process. "We have some options and are looking for some options but today it is not easy to find the player and to buy the player so we will see. You know, we spoke many times about that. We are trying to help Fernandinho in that position." City are trying to become the first side side since local rivals Manchester United in 2009 to win back-to-back Premier League titles. Since 2013, the reigning champions has finished an average 25 points behind the next season's winners and the last three defences have been hugely unsuccessful. "I know, in the last five or six years, the position where the champions were the year after," said Guardiola. "All of them were out and didn't have a chance to win the Premier League. "However, we are there. That is what I like the most in this season," he added. "I say we are in the League Cup final and you are in all the competitions then we are fighting. In the last two seasons, Leicester and Chelsea had no chance, but we are there at the top. "That is what I like the most but if we want to be there until the end. "If we win against Chelsea it will help us and if we win the game, I am sure we will be there again fighting to be champions again."